We all desire to have a secure retirement where we can focus on our passions without having to worry about money. But according to the Employee Benefit Research Institute’s 2017 Retirement Confidence survey, 82% of American workers do not feel very confident that they will have enough money for a comfortable retirement. Along with a lack of confidence, 30% say that preparing for retirement causes them to feel mentally or emotionally stressed. While there are many factors that could impact your retirement that are outside of your control, there are also proactive steps you can take that will help you move forward with confidence and peace of mind. 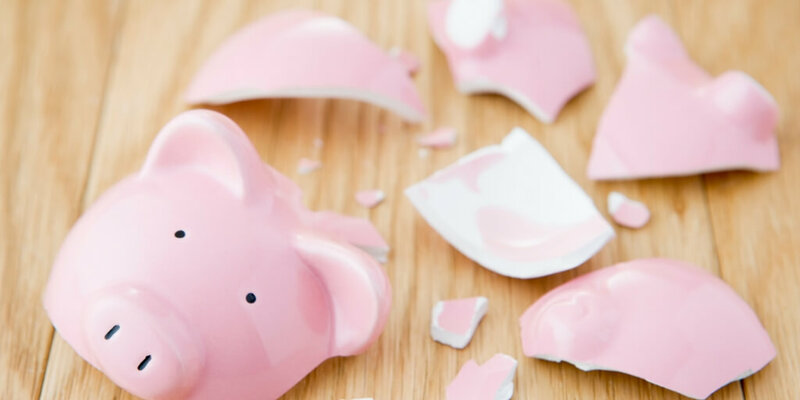 Take a look at these three common yet unexpected reasons your retirement plan could fail and the strategies to reduce the threat they pose to your financial future. According to the Employee Benefits Research Institute, the average couple at age 65 will require anywhere from $157,000 to $392,000 in health care costs. Most people don’t even have that much in their retirement accounts to live on, let alone cover medical costs. Without your employer’s health insurance, adequate coverage is typically more expensive and harder to find. Even with Medicare, there could be significant out-of-pocket expenses and many conditions and treatments that are not covered. When choosing your health insurance for retirement, make sure you understand all Medicare options and supplements and work with an experienced professional to help you evaluate your options. For example, many people don’t know that basic Medicare has no cap on out-of-pocket expenses. A supplement is required to achieve a limit on costs. Comprehensive insurance is more expensive but can limit unexpected expenses. If you plan to retire before age 65, be sure to get a pre-Medicare policy in place. Losing your spouse is devastating, regardless of when it happens. But losing a spouse during the final years of their career can be dangerous for the surviving spouse’s financial plan. Furthermore, retirement and long-term care costs may increase without a spouse to share costs and provide care. Depending on pension benefits selected, a spouse’s pension may not pay out to the surviving spouse in the event of his or her death. An early death may also decrease the spousal Social Security benefits the surviving spouse receives, leaving him or her with little income. We all know that unexpected life events can occur at any time and derail your plans. The same can happen to your retirement. While the average expected retirement age is 66, most people end up retiring at 62. According to the 2017 EBRI Retirement Confidence Survey, there is a considerable gap between when a person expects to retire and when they actually retire. While 38% of respondents stated that they would like to retire at age 70 or older, only 4% followed through. Most end up retiring earlier and often it’s not by choice. There’s always the chance you could lose your job or fall ill. Even if you want to work longer and save more, there’s no guarantee that you’ll be able to do that. Early retirement can destroy even well-laid retirement plans. The loss of income during the final years of your career can spell financial disaster, and this is especially true for high earners. To protect against this risk, plan for the unexpected. Make sure you have adequate disability insurance to protect your income in the event of an illness or disability. You can also work with an advisor to create scenarios and see what your savings and income would look like if you were forced to retire early. Retirement planning can be complicated and stressful due to the many uncertain factors that go along with it. However, by understanding some of the risks and common roadblocks you can experience, you can plan ahead for the unexpected and reduce the chances that your retirement plan will fail. At Balboa Wealth Partners, we specialize in helping you plan for your future while managing and preserving your wealth. Our mission is to partner with you to make strategic decisions about your money and feel confident in your future. If you think your retirement plan needs a second look, call me at 949-445-1465 or email me at jgilbert@balboawealth.com so we can evaluate your portfolio and find ways to minimize these threats. Jeff Gilbert is the founder and CEO of Balboa Wealth Partners, a holistic financial management firm dedicated to providing clients guidance today for tomorrow’s success. With nearly three decades of industry experience, he has worked as both an advisor and executive level manager, partnering with and serving a diverse range of clients. Specializing in serving high and ultra-high net worth families, Jeff aims to help clients achieve their short-term and long-term goals, and to worry less about their finances and more on their passions in life. Based in Orange County, he works with clients throughout Southern California, as well as Arizona, Oregon, and Washington. To learn more, connect with Jeff on LinkedIn or email jgilbert@balboawealth.com.